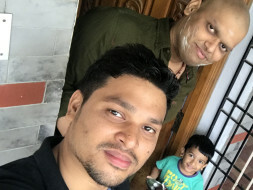 Dear Friends, My name is Karthikeyan, younger brother of Srinivasan who is diagnosed with RARE TYPE OF CANCER (LEIOMYOSARCOMA) on his pelvic region. I have enclosed very minimial reports for reference. We belong to an average middle class family who runs day to day life based on monthly salary. 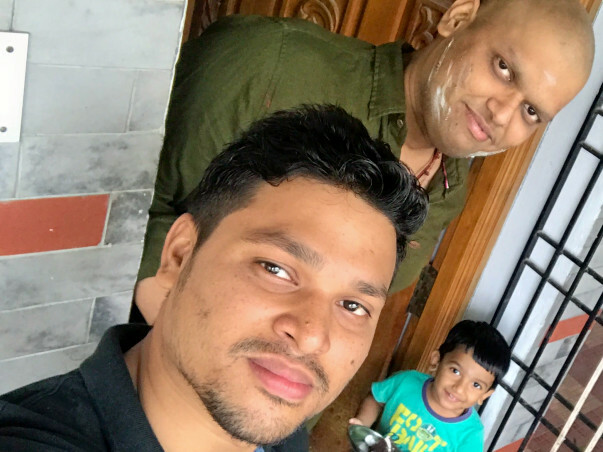 My brother is married and has a three year old kid, it was a very tragic situation and the entire family comes down when we came to know of his health condition. 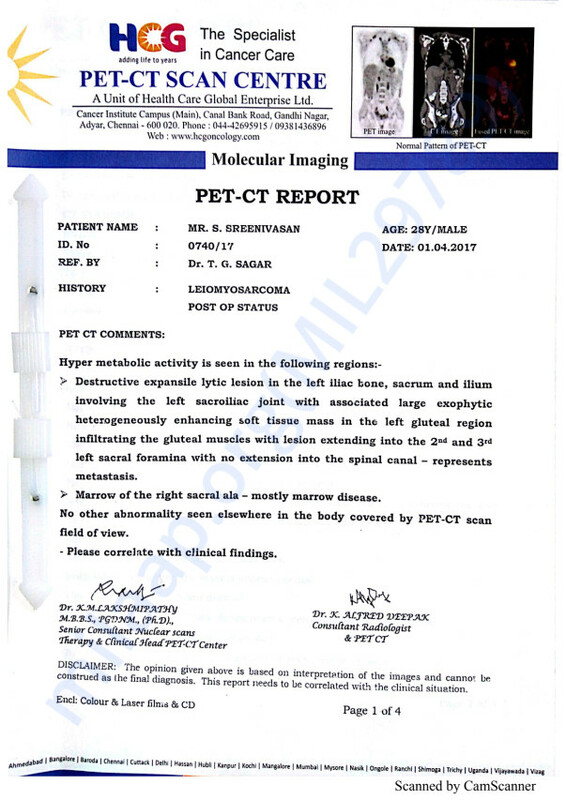 Currently we are availing a treatment from DR. RAI MEMORIAL HOSPITAL, CHENNAI. 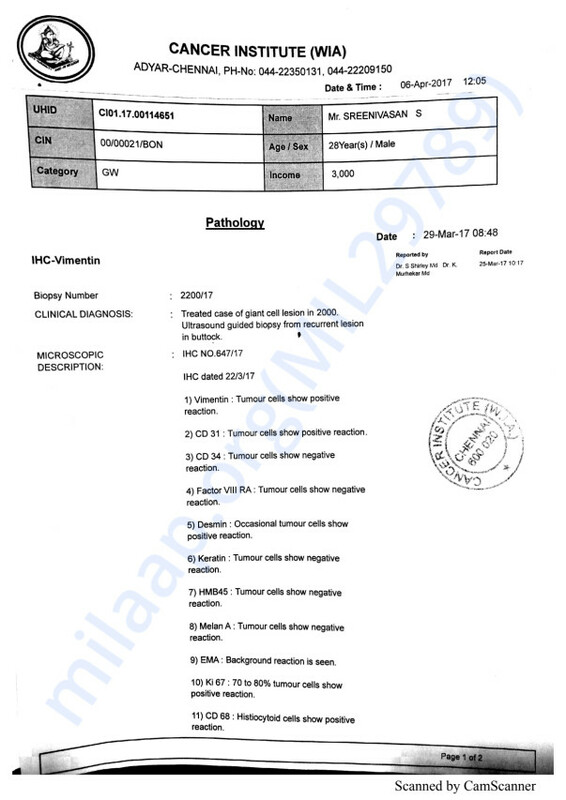 The treatment initially started with Chemotherapy (Six Cycles) and Radiation (2 sets of Radiation, totally 40 days) as the tumor was not surgical feasible. In last eight months period, we spent more than 5 Lakh Rupees taken through Personal Loan as we didn't have any health insurance policies to help us. From all the prayers and God's grace, the treatment has given very good results and the size of tumor has been reduced into half. Also the doctors are very much positive about the results and asked us to take another six sets of chemotherapy. This would further reduce the size of the tumor and making surgery feasible. 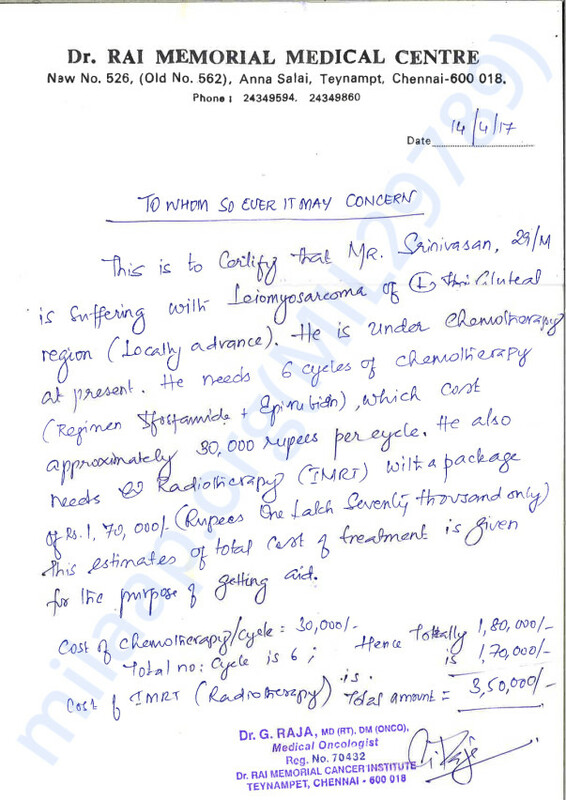 The approximate estimated cost for the upcoming six sets of chemotherapy followed by surgery is 3 Lakh Rupees. We are not in a situation to further afford this expense and He needs to come back to normal life to take care of his kid's future. Hence behalf of my family I prayerfully request your kind contribution for my beloved brother. My family would be so grateful if you would help us. Thank you everyone for your wonderful support and love provided. We are so glad to get such good souls which surrounds us and prays for us well being. As i already mentioned, we have been undergoing treatment for the past one year and have completed six sets of chemotherapy and two sets of radiations. As medical oncology suggested, we are again undergoing six sets of chemotherapy to further reduce the size of the tumor which can helpful for surgery. 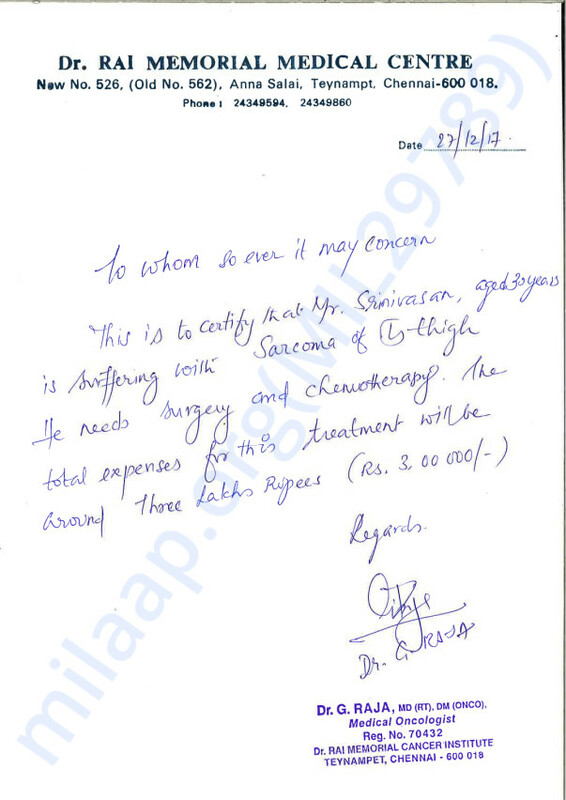 Now we have crossed two sets of chemotherapy and doctors suggested to take scan after completion of four cycles. I am hundred percent sure your prayers will surely help us to cross this tough time of my family. Thanks once again from my bottom of hearts. Keep us in your prayers. Thank you for the support you have shown Srinivasan. He is doing well now, compared to earlier. He is undergoing chemotherapy and is responding well to the treatment. The doctors suggest that he will be administered chemotherapy and once the size of the tumor/clot reduces, he will undergo the surgery. Thank you for all the support you have shown once again. Please do share this campaign further with your friends and family. Will keep you posted.